Base Station Hub provides a central charging station for all your devices. Power your devices however you need - wirelessly, USB-C PD, and USB-A. Base Station Hub's thin, sleek design integrates perfectly on your nightstand and desk. Designed with classic walnut, this edition of Base Station integrates beautifully into your home. Every detail matters. We have meticulously designed Base Station Hub for aesthetics and performance. With a slim profile, Base Station Hub serves as the premium charging solution for every device. Beautiful piece of furniture..and it charges phones too! Nice unit ..looks great...works great! In a post AirPower world, this is a wonderful substitute. The finishing and build quality is amazing and I can conveniently charge both my phone and my AirPods (including with the Nomad AirPod case) every night with no issues. If I had to pick something to complain about, it would be that I'm not particularly fond of the orange color of the LEDs on the front when something is charging, but I also don't have a better suggestion as any other color or a "breathing" LED would likely be distracting in the dark. Super Wireless Charger for Apple Devices! 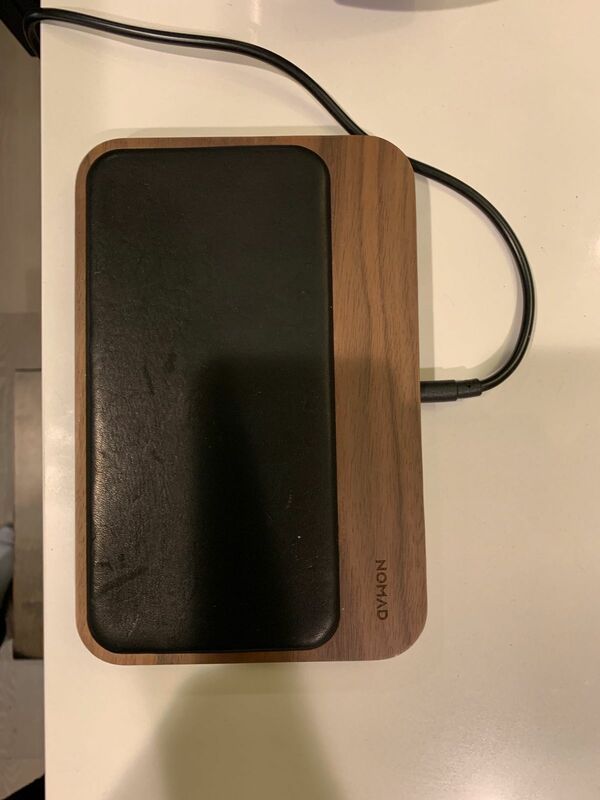 I purchased the Nomad wireless charger after Apple decided not to release their wireless charger. I'm using the Apple iPhone XS and the new Apple Wireless Charging AirPods case. After using for the past 4 weeks, we have charged multiple iPhone XS's and AirPods with no issues. We especially like the touch of Walnut to the charging station. Many of our friends asks where we purchased. Thanks Nomad for excellent design and function!